This Application Form may be filled out and submitted online or via fax or regular mail. Please ensure that all information submitted is accurate and complete so we may process your application in a timely manner. List the school, city, state, major, degree and dates. Official transcripts from each of the above schools are to be sent directly to Florida Vedic College and must be on file prior to start of classes. High School transcripts are not necessary for those applying to the Masters or Doctoral programs. Only the application fee must be submitted with this application however you may pre-pay if you so choose. I understand that if my application is accepted an invoice will be sent for 30% of my total tuition, which will be immediately due Florida Vedic College. The remaining portion of my tuition must be paid PRIOR to the commencement of the course. By choosing "Submit Application" you authorize Florida Vedic College to draft your bank account for the amount shown on this form. You acknowledge that you are the owner or authorized signer on the account information entered in this form. Your order will be processed through your local bank as a normal check, and your account will never be accessed electronically. 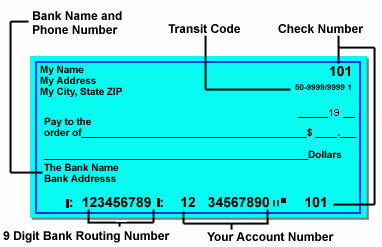 After you have entered the information, there is no need to send the check. Simply write the ordering information in your checkbook, just as if you had sent it in. NOTE: All NSF returned checks will be subject to a $25.00 processing fee.